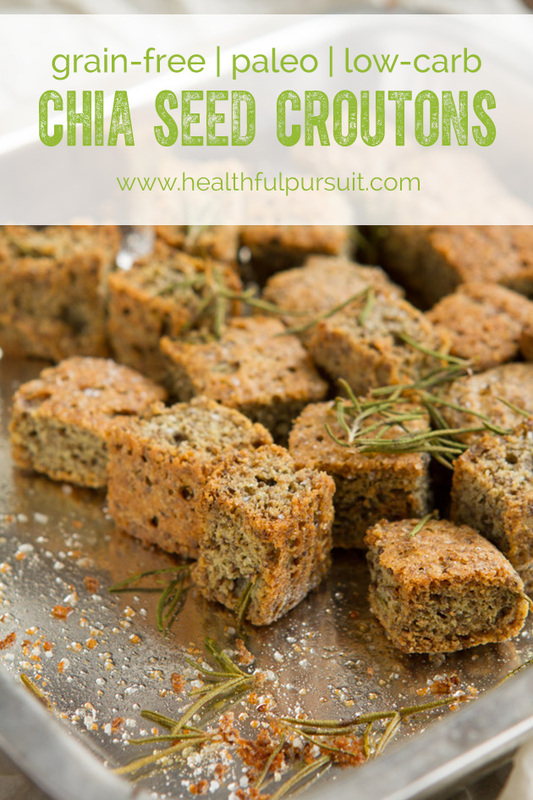 Crisp, golden, sea salt-dusted croutons made from ground chia seed – entirely grain-free, low-carb, keto and delicious. I’ve missed you! It’s been a whole 7 days since we chatted last. How are you? Things are good? Summer is bright? Life is cheery? For those of you who don’t follow me on Instagram + Facebook, I have news for you… I’m writing a keto cookbook. Like, a PAPER cookbook that you will find on the shelves of bookstores, Costco, libraries, classrooms, kitchens… everywhere (hopefully). The cookbook proposal process is a tedious one. The ideas are flowing and I’m in the groove, but there’s a lot of organization, planning, rewriting and more rewriting. The recipe concept piece was a breeze but the, ‘pulling it all together and making sense of it’ part has been quite the process. Very, very exciting. More news, details and progress coming at you soon. 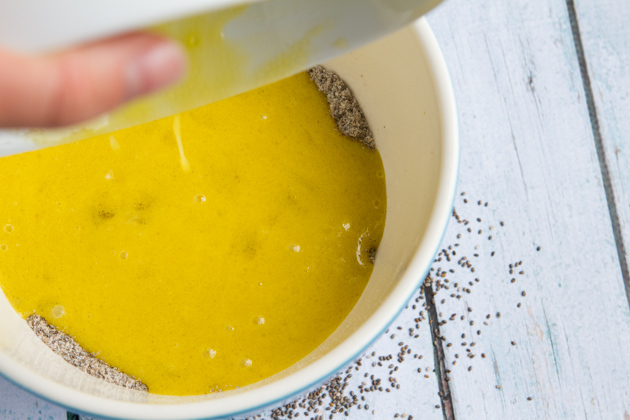 Now, lets talk fiber… which leads into how awesome chia seed is and why you really ought to have some of these keto-friendly gems in your pantry for recipes like the one I’m sharing today. Since experimenting with a low-carb, high-fat, keto, moderate protein eating style (more on keto here), I’ve become pretty focused on my fiber intake. Surprisingly, before I embarked on this keto journey, my fiber intake was around 20 grams per day, even with all of carbohydrates I was eating. That’s appalling. Now, I’ve made it my mission to focus on pumping up my keto day with loads of high-fiber goodness. You see, when you’re “counting carbs” on keto, the more fiber you eat, the less “net carbs” you consume. Example: Leanne eats a total of 50 grams of carbs in a day, 30 grams of those carbs were fiber. Therefore, 50 – 30 = 20. Leanne has consumed 20 grams net carbs in the day. The net carbs are what I’m counting. Some people think that using net carbs as your “total carb count” isn’t a valid practice toward maintaining a low-carbohydrate, keto eating style but; if one doesn’t count net carbs and relies solely on the whole carb count (in the example above, this would have been 50 grams), maintaining a healthy fiber intake while on keto slips away on us. And in the end, taking care of your body is a YOU thing. You make the rules and do what’s right for you. Fiber is AWESOME. It normalizes bowel movements, helping to maintain digestive health, controls blood sugar levels and helps us feel satiated so we don’t overeat. But wait! There are good, keto sources of fiber and not so good sources of fiber. Some of the worst sources of fiber include whole grains, bran muffins and cereals. No… they aren’t. I swear I’m not making this up (this Eating Grains Can “Tear Holes” in Your Gut article from Mercola.com is a great read). Grains contain anti-nutrients that may damage our health. Funny enough? The part of the grain that contains the most fiber (the bran of the grain) is the part that contains the highest amount of anti-nutrients. Mind blowing, right? These anti-nutrients can cause digestive issues like gas, bloating, cramping, fatigue, rashes, joint pain and food allergies (because little holes are created in your digestive system which allow food particles to permeate through the bowel walls, causing your immune system to attack which creates a new allergen!). Basically, what I’m saying here is that we need to get out of the mentality that grains are a good fiber source. While eating keto, I’ve been hitting 30 grams of fiber per day without the use of grains or high carbohydrate veggies. And it’s really, pretty easy. 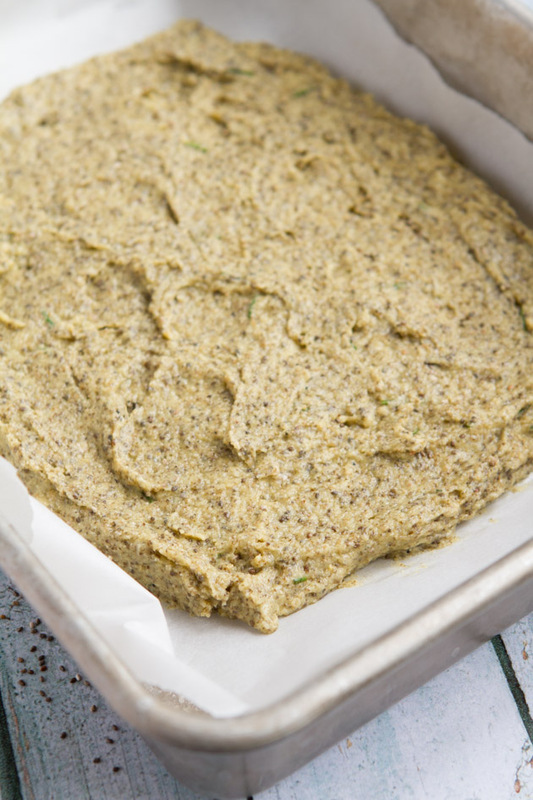 So, whip up another batch of my Keto Flaxseed Focaccia (another high-fiber recipe), stock up on keto-tastic chia seeds (or ground chia seeds if you don’t have a grinder) and let’s get to making some keto croutons! PS: highly recommend doubling the batch again here. I know, I say that a lot. But I made these and they were gone in less than 2 days. 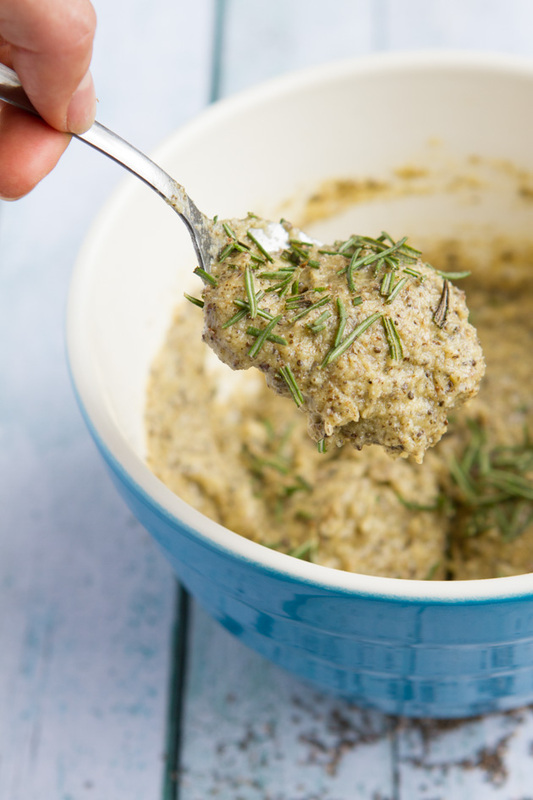 Double up on this keto recipe and maybe you can go half a week without having to make them again. 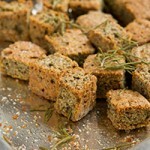 Crisp, golden, sea salt-dusted croutons made from ground chia seed - entirely grain-free, low-carb, keto, and delicious. 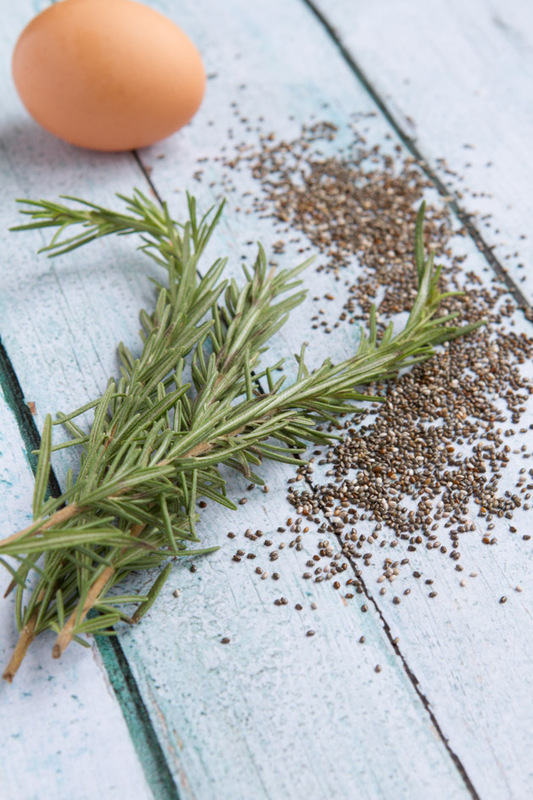 Combine chia seeds, flour, rosemary, baking powder and salt in a small dish. Rotate with a spoon until incorporated and set aside. In a larger bowl, combine eggs and oil. Whisk until combined. Transfer dry ingredients to wet, and stir until smooth. Drop the dough onto the prepared baking sheet. Spread to ½-inch thickness. No need for the dough to hit the sides of the pan. Spread evenly with the back of a spatula. Place the sheet in the preheated oven and bake for 20 minutes, or until golden. Remove from the oven and cut into cubes. For crispier croutons, turn off the oven and allow it to cool completely. 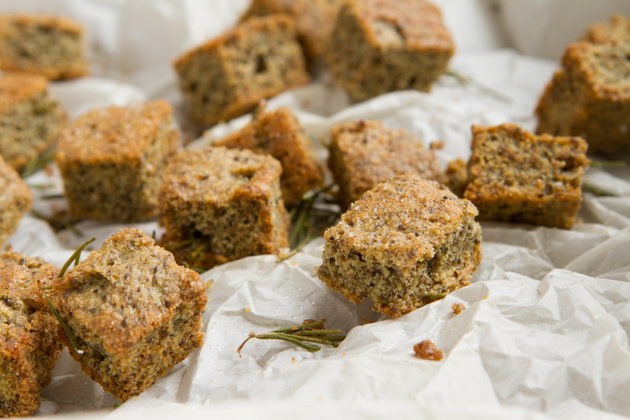 Remove the parchment paper or baking mat from the baking sheet and transfer the cubes to the sheet. Place the sheet in the cooled oven overnight. In the morning, coat with additional oil and salt; if desired, then roast in a 350F oven for 15 minutes, until golden. 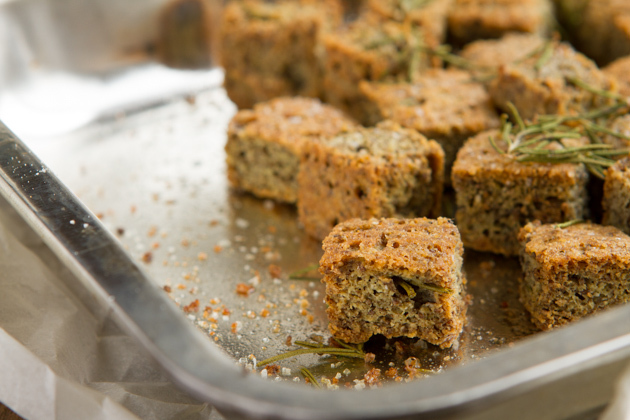 For faster results, once the cubes are cut, remove the parchment paper or baking mat from the sheet, transfer the bread cubes back to the sheet. If desired, coat with additional oil and salt. Transfer the sheet back to the oven and bake for another 30 minutes, until crisp. Remove from the oven and allow croutons to cool completely. Store in a parchment paper bag, on the counter for 2-3 days. The croutons can be frozen, too. To crisp up, toast for a couple of minutes, if needed. 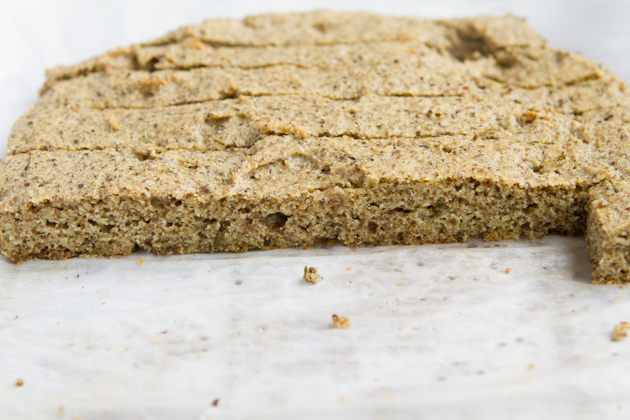 Is fiber something that you care about on keto? If yes – what whole food sources or recipes do you use to hit your personal fiber requirements? 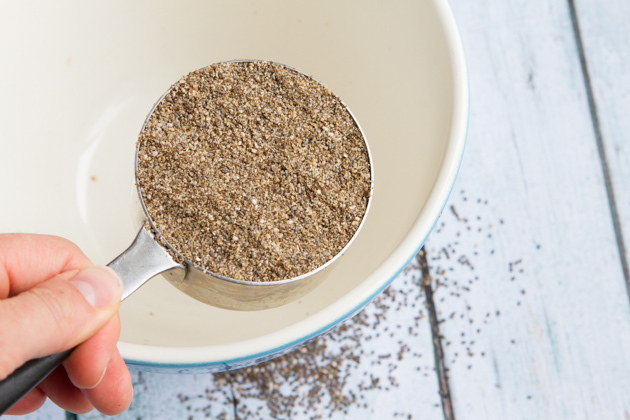 How do you feel about limiting your intake of grains? Overwhelmed? Totally cool with it? I’d love to chat with you about it in the comments….